For all those purists and/or those set in their ways, an updated version of any particular cuisine can be hard to accept. Stick the word "modern" in front of anything and suddenly, a typically casual meal becomes hip and inevitably more expensive. This is especially true in Vancouver where many Asian restaurants serve up authentic eats. However, if we can elevate things like North American comfort food, why can't we do the same for, say... Vietnamese? We've already seen Broken Rice, Chopsticks on Pho and Anh & Chi attempt this, now we have another in House Special in Yaletown. 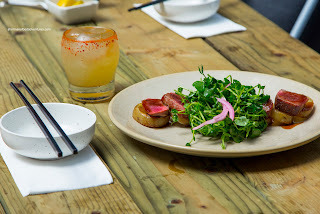 Recently, I was invited to do a menu tasting organized by Sharon. 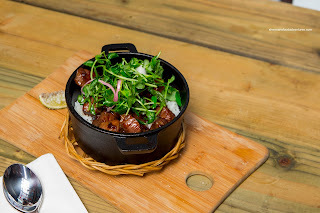 The first dish that I got a chance to dig into was the Shaken Beef (Luc Lac Beef). Appealingly plated with a side of salt & pepper lime, the beef was buttery soft and tender with an aromatic finish. It was prepared medium-rare which kept everything moist (seemed to be sous-vide first). Even the rice was excellent being chewy and not overloaded with moisture. Although the flavours were pretty mild, a squirt of salty lime made things more lively. Onto another meat dish, I sampled the Saigon Steak featuring tender slices of medium-rare New York steak glazed with a pho reduction sauce (which was a mildly salty). Underneath lay thick-cut caramelized nước chấm potato. These were firm, yet still soft to chew (underseasoned though). On top was a pea tip salad that was lightly dressed. Good dish, but I would've liked to see more pop in the flavour department. 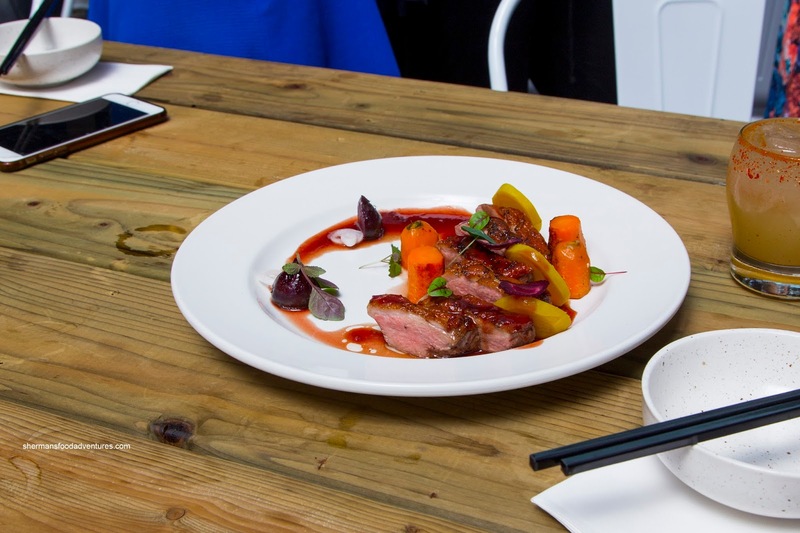 Another winner was the Tamarind Duck with roasted beet, Vietnamese pickles and red wine reduction. The meaty duck breast was succulent and smoky with rendered skin. Flavours were a pleasant duck gaminess combined with the tart and sweet tamarind. The addition of pickles really helped lighten up the dish and add an extra layer of acidity which complimented the sweet and Earthy beets. 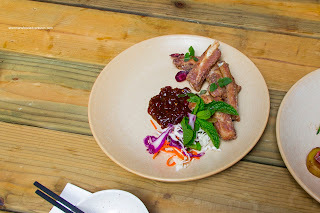 Served with a tamarind and dried chili jam, the twice-cooked Crispy Ribs (braised, then fried) were not particularly flavourful on their own. However, when dipped into the jam, there was a wealth of tang, sweetness and spice to go around. Texturally, the ribs were indeed crispy while appealingly chewy inside. 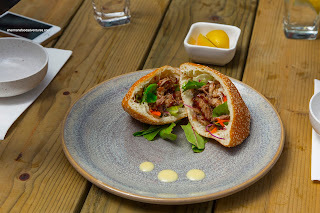 One of my favourite items was the Duck Confit Fry Bread with pickled veggies and hoisin. The best part was the duck itself as it was super moist and tender while still retaining a duck meaty texture. There was plenty of duck essence to go with the restrained drizzle of sweet hoisin. Adding the necessary acidity, the pickled veggies also provided a bright crunch. As for the fry bread itself, it was somewhat crispy outside while giving way to a soft almost pillowy interior. Now this was good, but Uncle Hing's Chicken Wings were even better. Similar to the ones found at Pok Pok, Boulevard and Torafuku, these were better. They were crispy with well-rendered skin and the meat inside remained succulent. 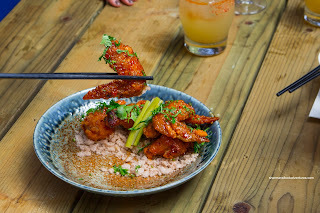 Coated with just enough spicy nước chấm sauce, the wings were salty, spicy and sticky with a purposeful amount of sweetness. The Hi Phong Squid was plated so nicely, it could've passed for any fine-dining restaurant in town. It consisted of deep-fried drunken calamari with pickles and slaw. Underneath, there was a cilantro pesto that was creamy, mild and herbaceous. The squid was tender with a slight chew while battered minimally (still crispy though). 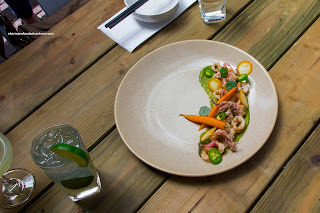 I didn't notice much of the drunken essence, but the dish was still good as it was. Pretty to look at, the Bird's Nest Noodles contained mushrooms, veggies and soft-boiled egg on a sauce vert. 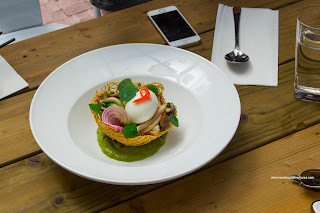 Although the runny egg made things appetizing, the entire dish was rather bland. Nothing wrong with the execution though, but the dish lacked pop. 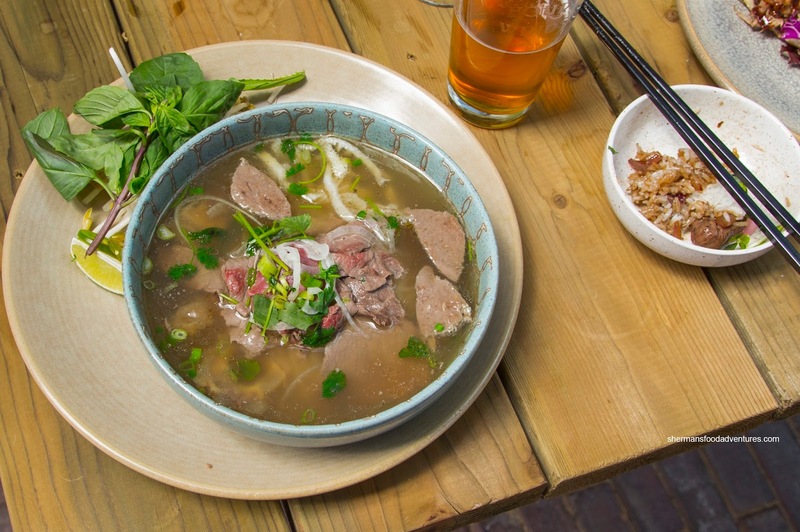 And how could we forget about the House Special Pho? Yes, I know it's cliché, but yah, its on the menu. This was actually a pho dac biet with all the meats (including tripe and tendon) and the usual accompaniments such as sprouts, basil and lime. I found the broth to be clean and light. It could've used more salt, but it was okay as it was. Noodles were not overdone and the meats were tender. We got a surprise dish in the Salad Roll with sausage, vermicelli, lettuce, cucumber and pickled veg. This was pretty straightforward and generally pleasant. I did like the compact size as I could pop the whole thing in my mouth after dipping into the peanut hoisin sauce. 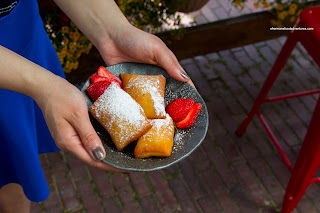 For dessert, we were treated to Beignets dusted with confectioners sugar. Although these didn't look like much, they were really good. Light, pillowy soft and not greasy at all, the beignets were also not overly sweet either. 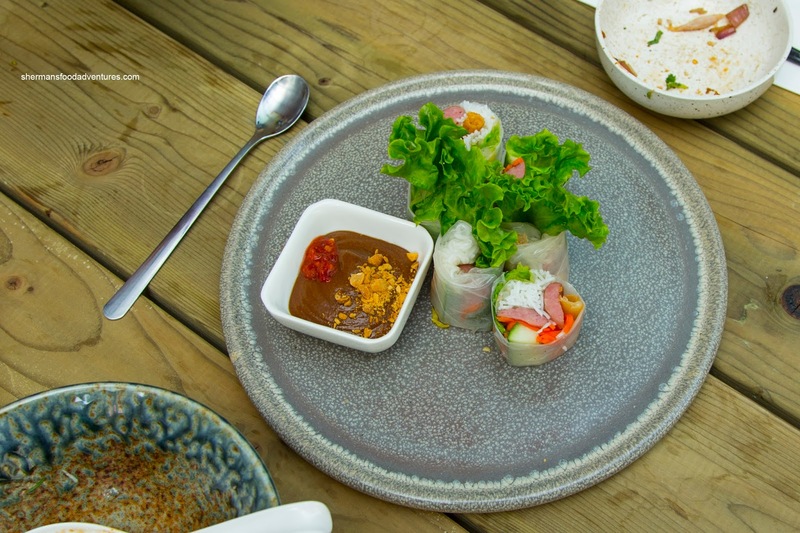 These were a fine end to a well-executed and solid interpretation of modern Vietnamese cuisine. 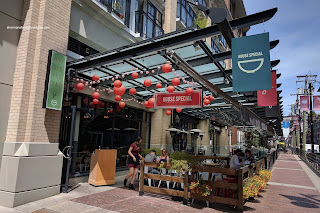 The most important thing of all was their pricing - there is definitely a premium to be paid, but not high for Yaletown standards (nothing over $20.00). 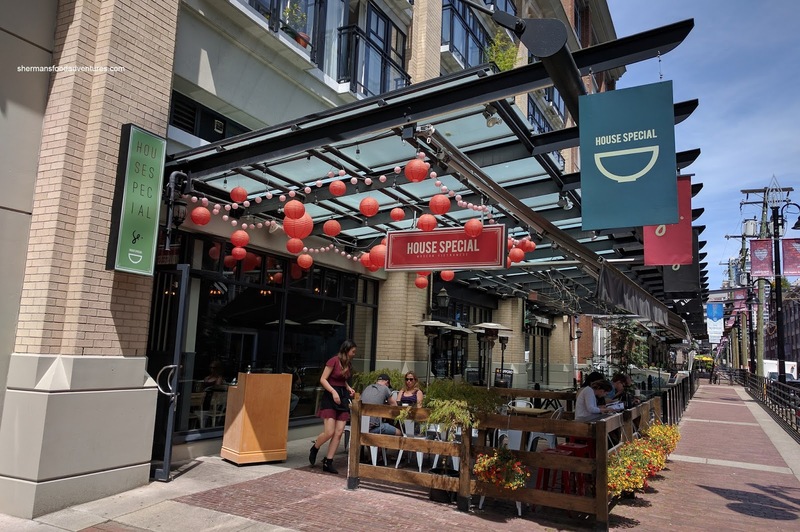 As much as it is difficult to get over the psychological barrier in paying more for typically inexpensive eats, the food at House Special makes a good case for it.